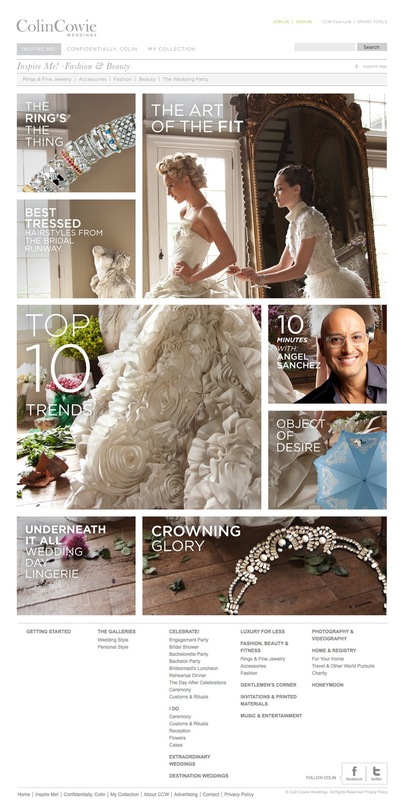 the cinderella project: because every girl deserves a happily ever after: Exclusive: Sneak Peek at Colin Cowie Weddings! ColinCowieWeddings.com, slated to launch next month, will be the most compelling place online to reach the modern wedding-bound couple. Engaging the engaged with a dynamic fresh look, exclusive original content and a proprietary social network, the new entry combines the expertise of celebrity wedding planner Colin Cowie, one of the world’s foremost authorities in wedding planning and lifestyle, with state of the art technology and thoughtful user interface. “We are creating the most comprehensive, innovative, inspiring, effective and user-friendly products, website and mobile applications in the marketplace for modern couples planning a dream wedding on any budget. Brides looking for fresh inspiration and expert planning advice at all price points will find it here, edited and curated with the added cachet of Cowie’s invaluable expertise. In keeping with Cowie’s tradition of exceeding expectations, brides will also be able to save, organize and share what inspires them privately and securely with their friends and family using the site’s MyCollection channel. A maverick team of technologists, creatives and editors with authority, track-record and perspective in the current digital landscape were tapped to complement the rich history of Cowie, whose 25 years of ground-breaking milestones in wedding planning and stylish expertise has made him a favorite of society, celebrities and the media. Award-winning Creative Director Deborah Moses is leading the creative, branding and editorial. Moses’ visionary redesign and leadership of Elegant Bride magazine resulted in the first ever nomination for a National Magazine Award by a bridal magazine. She was also the former Creative Director of Vera Wang, and her recent Internet projects include creative direction and content development for Wang’s first e-commerce site and designing The Aisle New York, the first all-bridal flash sales site. Moses has brought in two experienced hands to ensure that the site content lives up to Colin Cowie’s legendary standards, Juli Alvarez as Fashion and Beauty Director and Karell Roxas as Managing Editor. Joining the team from Condé Nast is Chief Technology Officer Janet Kasdan. Kasdan was previously Director of Technology at Condé Nast Digital where she was responsible for software development, operations and infrastructure. Before that, she was the Vice President of Engineering at Vindigo, an early leader in mobile media. Rounding out the development team and focusing on user experience, is Janis Nakano Spivack, an award-winning creative executive whose background spans traditional and cutting- edge media. In addition to MyCollection, the site’s two other channels, Inspire Me! and Confidentially, Colin deliver world-class content, iconic photography and indispensable perspective and advice from Cowie himself. 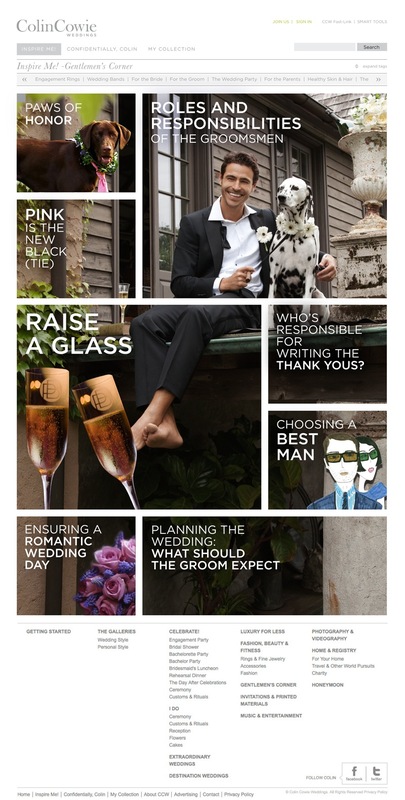 Inspire Me: smart, in-depth articles for both the bride and groom covering every aspect of wedding planning from engagement parties to the honeymoon; fashion, beauty, travel and registry; how-to tips and tricks; trend reportage; inspirational ideas and more. Gentlemen's Corner will become the first area of a major bridal site that men will feel comfortable visiting, offering great style and planning advice to grooms and their groomsmen. Confidentially, Colin: offers couples the chance to personally connect with Cowie and seek his advice on topics like proper wedding etiquette, planning logistics, and more. 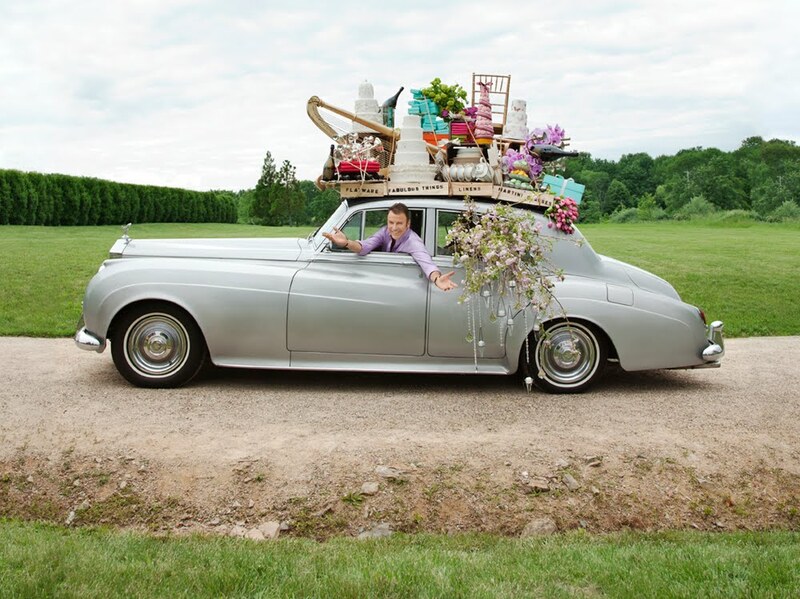 Here he shares thoughts, suggestions, insider tips, advice and counsel from his 25 years of wedding planning around the world. Exclusively yours - be one of the first to witness amazing by signing up at ColinCowieWeddings. I cannot wait to see this site! I'm going to bookmark this post so I remember to look for it later on. Your posting is nice. So wedding planner mobile app is very high and element is the one function is very quality. I have enjoyed this blog post while reading it. My friend also planned his similar kind of wedding using the wedding app and her wedding was fun things happen.